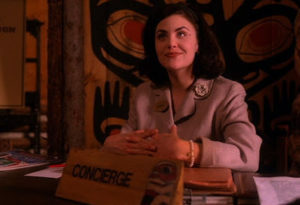 Your stay at a resort should not rival the unexpectedness of a stay at The Twin Peaks Great Northern Hotel. You shouldn’t have to fear the surprise of giants at your door, encrypted messages from creepy waitstaff, OR hidden hotel fees. 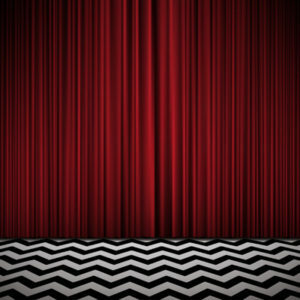 (If you haven’t seen the original Twin Peaks, block off a weekend and treat yourself to the early-90’s, cult television drama.) Even if you ‘expect the unexpected’ when travelling, the cost of lodging usually ends up higher than planned. But there are a few things you can do to avoid hidden hotel charges. Unless you haven’t been to a hotel since the early 90’s yourself, you’ll already know a few of these fees. Most of us are aware that the items in the mini-bar aren’t free, so it’s not really a surprise to be charged for them. But a few new surprises have been added since 1997 when surcharges emerged as an industry-standard practice. Airport Shuttle Fees – An often complimentary service, your necessary ride to the airport will sometimes cost you. Early Check-in/out Fees – Arriving or leaving earlier than scheduled check-in/out? If you can’t keep to the exact hours of the hotels check in and out, you’ll be charged for it. Baggage Holding Fees – You may pay more than tips to the bellhops for handling your luggage. There is often a fee for the hotel to hold it on the way in and out. Parking and/or Valet Fees – Some hotels charge fees for mandatory parking and valet services. Additional Person Fee – Usually it isn’t extra for children, but additional adult guests in your room will incur a fee. Pet Fees – If you’re traveling with Fido, you’ll need to do extra research before booking as the pet fees at hotels vary widely and can be up to$100. Safe Fees – Whether or not you use it, you could be paying to have a safe in your room. Gym Fee – Same goes for the gym. Even if you don’t use it, just having a gym facility in your hotel building could cost you extra. Spa Fee – Spa resorts have different regulations, but if you’re staying at a place with a spa, you’re paying extra. Package/Mail Fees – In the event that you need to mail something, check the fees first! It could cost you $1-$25 extra to have the hotel staff drop it at a post office box. Laundry or Towel Fees – An extra towel at the pool or the option to launder them doesn’t usually come complimentary. Mini-Bar Fees – These include the extremely inflated cost of snacks and drinks as well as the cost to restock it. Some items on a trigger will cost you even if you just pick them up and set them back down. Groundskeeping Fees – Especially in high-end destination resorts, your total bill will likely include maintenance for every beautiful garden you see. Cancellation Fees – Usually the need to cancel your reservation is unexpected in itself, but the cost to do so could be shocking. WiFi Fees – Internet connection is often complimentary these days. But if not, you could be charged for every minute that you use the wifi. Automatic Gratuity Fees – Sometimes tips for your bellhops and housekeepers are already included in your bill, up to as much as 10%. Energy Fees – Some hotels tack several dollars per day onto your bill to attempt to pass on rising energy costs. Taxes – City and state taxes can add a hefty sum to your final bill. Hotels and even AirBnb’s also charge city taxes or occupancy taxes, which vary by area but can be as much as $22 a day. Miscellaneous/Local Fees – These includes random charges like “destination marketing fee” or “tourist accommodation taxes” for cities with active tourism programs. Mandatory charges that hotels pass on to you straight from the government. The big “Resort fees” – Some of hidden hotel fees listed above are lumped into a ubiquitous surcharge called simply “Resort Fees.” These can be charged up front or as an additional nightly rate anywhere from $10 to $100. Most of the fees listed above will not be listed on the final breakdown of your charges. But with industry revenues topping an estimated $199 billion in 2016, it’s obvious that hidden hotel fees won’t be disappearing anytime soon. And although the Federal Trade Commission mandated in 2012 that hotels disclose all mandatory resort fees, there are still some tricks at play. Overlooking fine print disclosures when booking is primarily the cause of the dreaded ‘surprise factor’ when travelers reach the front desk. And usually once a guest has reached the front desk they’re not looking to argue their way out of fees. Hotel staff has often been trained to respond to complaints, too. Travel advocacy groups are pressing the F.T.C. to revisit the issue, but that doesn’t mean that some hidden hotel fees can’t be avoided. Do Your Own Investigation – According to CNN, you can “avoid fees by calling ahead and inquiring about packages, many of which include fee waivers for things like Wi-Fi and parking”. The more investigating you do on your hotel options, the better. You can also avoid hidden hotel charges just by looking up resort fees (try resortfeechecker.com). For instance, double-tipping won’t be an issue if you discover that gratuity fees are already included. Check social media too, there are plenty of reviews online of most hotels. If someone found some hidden hotel fees, they’ll usually let everyone there know. Use Loyalty Programs – Loyalty programs are the best way to avoid hidden hotel charges. They typically offer waivers for many of the fees listed above. And if you have an elite status, you can negotiate other fees and terms beyond what the loyalty program waves. Sometimes just booking with points or rewards program can give you the upper hand in negotiating too. Know the Workarounds -You don’t have to be a world-class detective to find hidden hotel fees or know the workarounds. 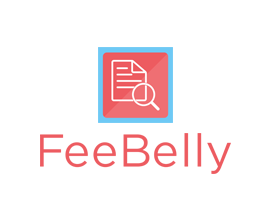 A free contract review app like FeeBelly can help. FeeBelly highlights costly details in the fine print to help you avoid the surprise at checkout. If you have done a bit of research and some terms have been highlighted, you can use other tricks too. Look up free parking nearby, check out a local Starbucks for wifi, and pack your own snacks and drinks. And the biggest workaround is to avoid the hotels altogether and rent through a site like AirBnb or HomeAway. Negotiate – Especially when done in advance and with insights from FeeBelly, negotiating can get you out of a lot. Some hotels will waive fees if you tell them at check-in that you won’t be using the items covered by fees like Wi-Fi, the in-room safe, or the gym or pool. And always allow plenty of time at check-out so you won’t just sign and accept without questioning. Federal law requires that all hotel fees be clearly disclosed, so if you discover a fee at check-out that you weren’t warned of, point it out and ask it to be removed. Most of the seemingly out-of-control hidden hotel fees add some value to the overall customer experience. And smart hotels are able to do so in a reasonable way. But the experience turns negative when they bet on guests not paying attention (like the operators of the Great Northern). Luckily you can take matters into your own hands without feeling like you have to bend your arms back.